It may seem way too early for CNY recipes I know. Yeah, talking about Abalone here, Abalone congee specifically haha! But I guarantee you, it is always a good time to pamper yourself and the love ones around you. So why wait, enjoy first while you can, life's too short! How about cooking something simple, comforting and yet "luxurious" enough to perk up the whole dish? When I say simple, I meant simple one pot meals that young and old will enjoy. 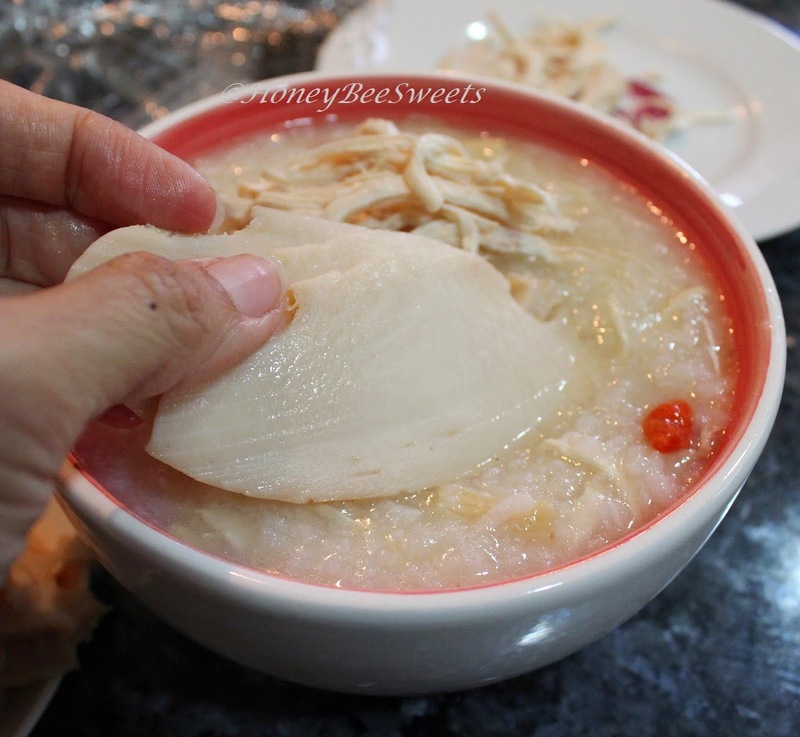 My Abalone Shredded Chicken Congee definitely fits the bill here. But of course a good dish requires quality ingredients. Fortunately, I have some right at hand from Lao Ban Niang; a place that sells quality Traditional Chinese Medicine (TCM), groceries, sundries and organic products. It has 30 years of retail experience in this industry, Lao Ban Niang is well-positioned to cater to our customers’ TCM and Chinese provision needs. It recently launched its new online store http://www.laobanniang.com.sg that carries a wide variety of traditional Chinese medicine and foodstuff of high quality at very affordable prices. Looks good isn't it. Just those Abalone slices alone is already tempting enough. :9 I guess anything topped with juicy Abalone slices must be good some how or the other...figures. :) Lao Ban Niang's Australian Abalone is having a promo now. Original selling price of S$58, you can get it for S$56 each if you buy two. Like the Chinese saying "好事成雙" (Good things comes in twos) haha! *New Crop Rice is rice from the first harvest of the rice plantation. Excellent for cooking congee or porridge because it yields a softer and slightly sticker texture. 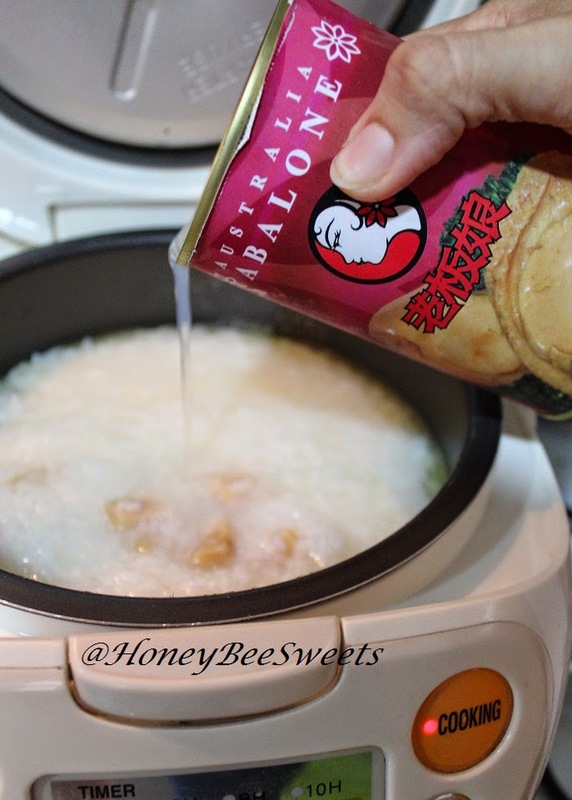 To improve the taste and texture of the Abalone better, we are going to boil it (within the can). A step not commonly known but is done in many restaurants nowadays. Even LaoBanNiang recommends doing this step. First prepare a pot of water, enough to submerge the whole can of abalone in. Once the water boils. Remove the Abalone can wrapper and submerge it in the pot of water and lower fire to simmer for up to 3 Hours. While the can of Abalone is cooling in the water, boil another pot of water. Once it boils, off the fire and put in the chicken bones to parboil. 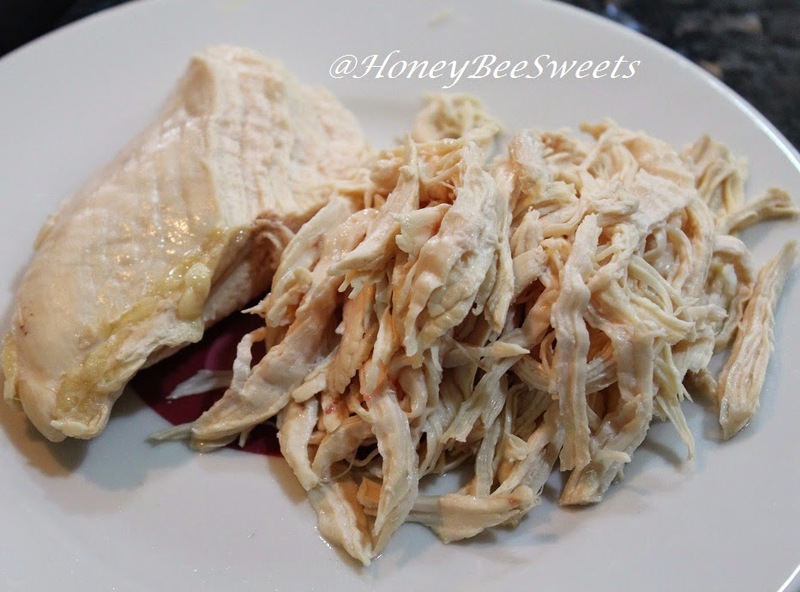 Drain water after a minute and refill pot about 3 cups of water along with the chicken bones and 3 slices of ginger. 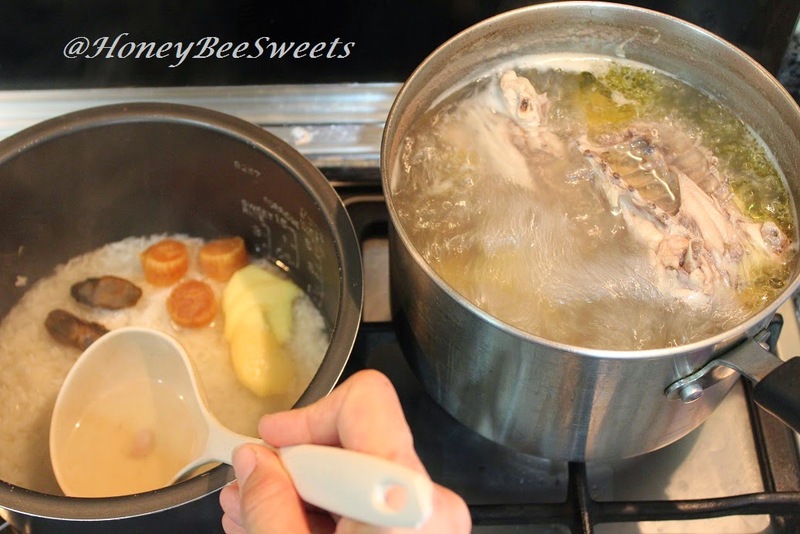 Let the chicken bone slow boil for at least 30-45minutes. 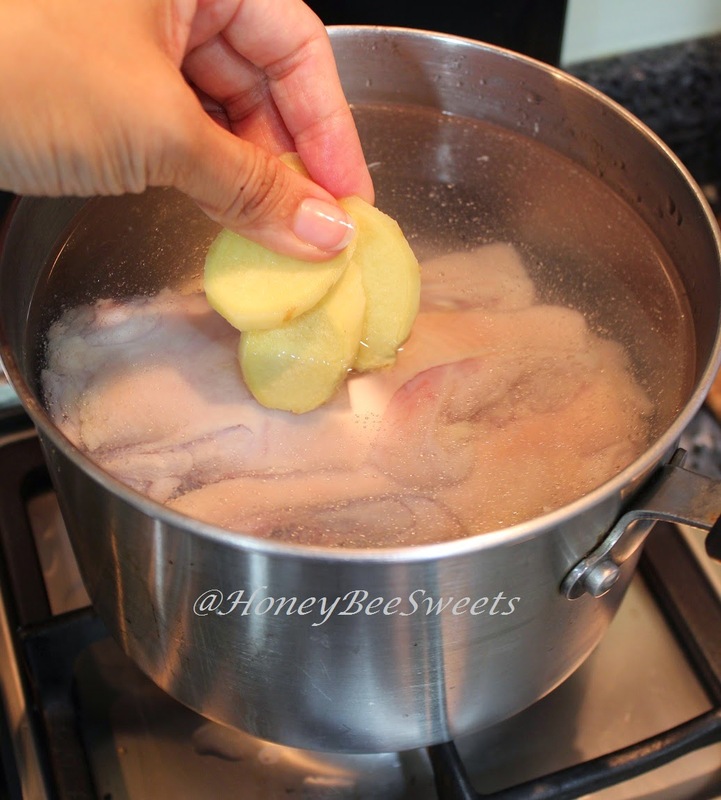 Then you add in the cleaned chicken breast and let it simmer for 2-3 minutes for the chicken breast to cook through. Then remove the chicken breast and set aside for use later. Wash the rice for the congee. Wonderful Thai Royal Umbrella New Crop only requires one rinse! 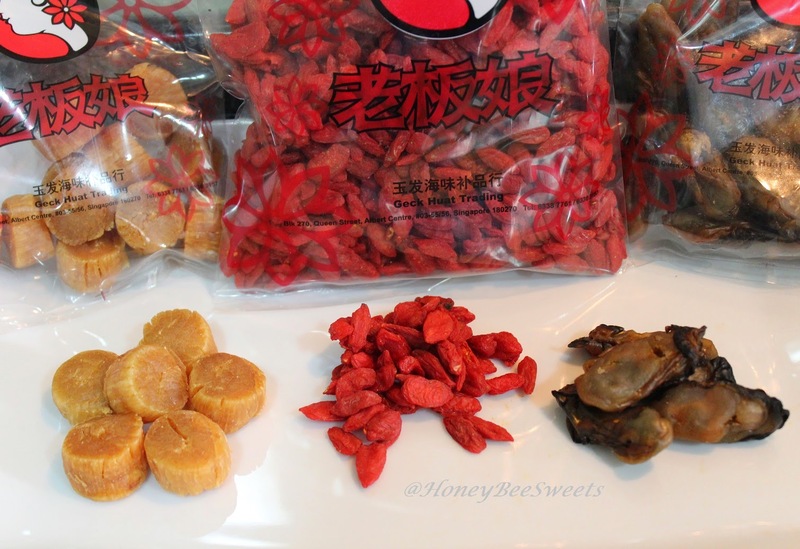 Next you rinse the 3 other ingredients; the dried scallops, dried oysters and wolfberries. Check out the quality...nice right. Place the 3 remaining ginger slices, the scallops and oysters in the rice pot and then slowly add in the chicken stock to fill up at least 2-2.5 cups worth. 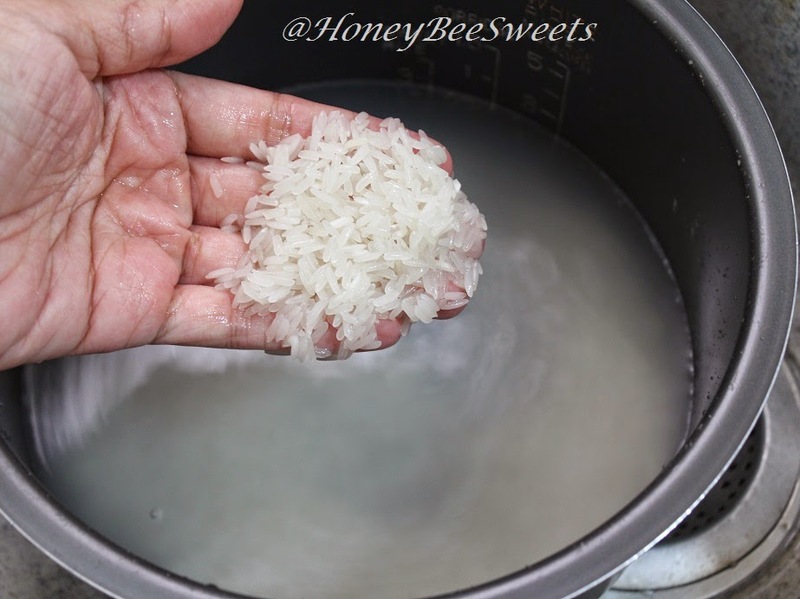 Then place the rice pot back in the cooker and set to cook, setting porridge. In the meantime, shred the chicken breast. Next you open the can of Abalone that has already cooled completely. Making sure you DON'T throw away the Abalone broth inside the can. Slice the abalone nice and thin and please control not to munch too many slices haha! Keep the slices in the fridge at the meantime. Look at the size of that Abalone! Each abalone weighs an average of 210g without the can and broth. 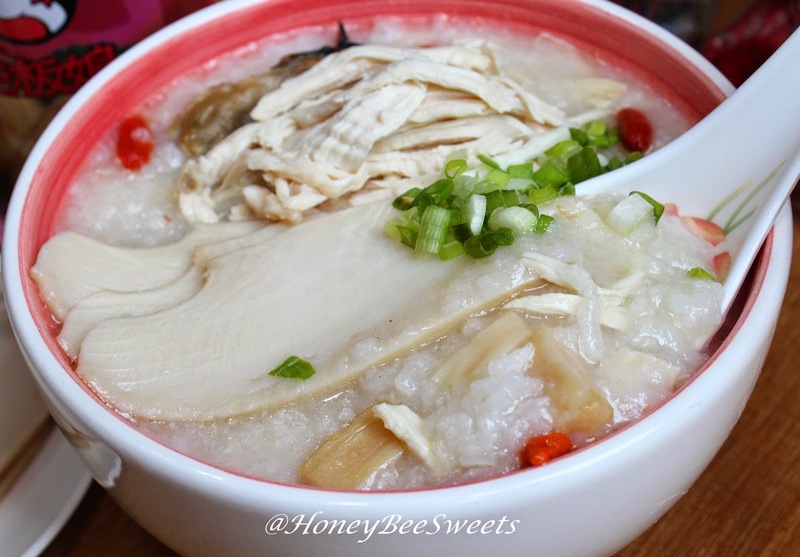 Once the porridge is cooked, you can add more chicken stock in if it is too thick. 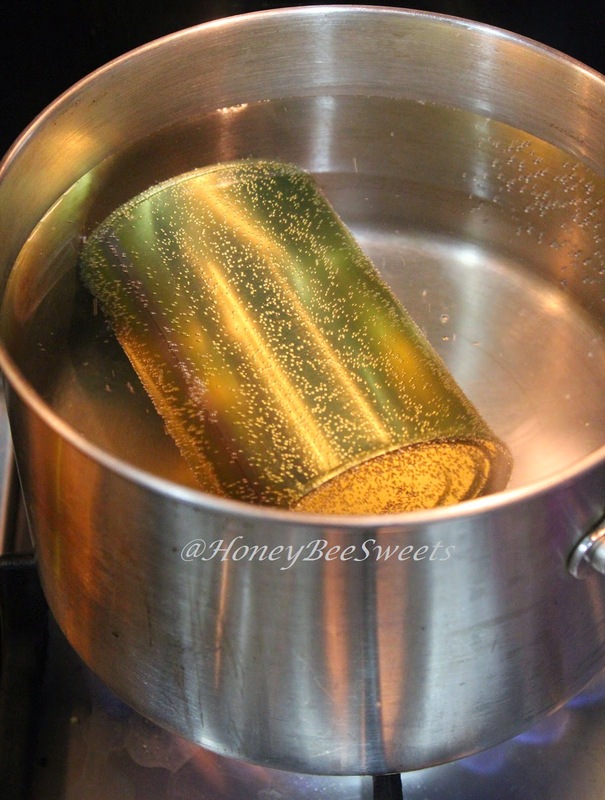 I used the reserved Abalone broth from the can as well...SWEET...literally! Next you add in the wolfberries in the porridge. 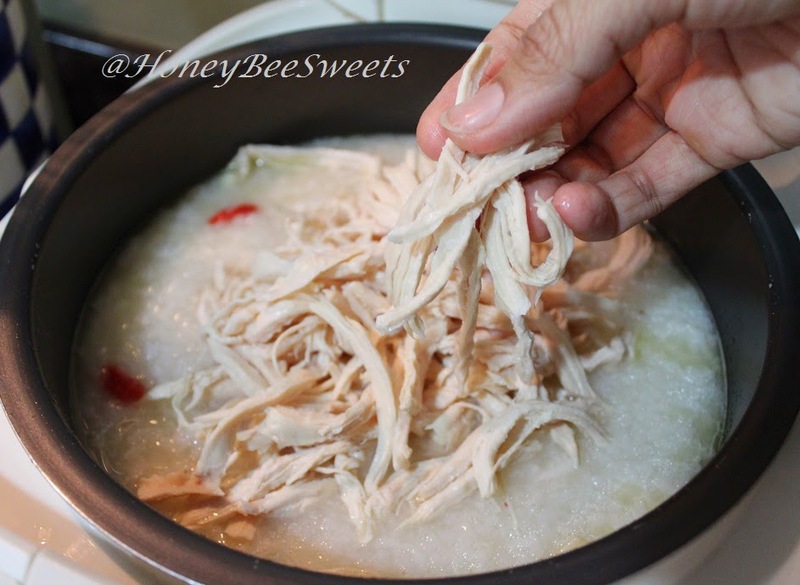 Last but not least, you can finally add in the prepared shredded chicken into the ready congee. Add salt and pepper to taste...the congee is already very sweet with all those ingredients, so just a little will do. Finally, serve up a big bowl, place some slices of Abalone and sprinkle that chopped green onion. Enjoy it while still hot. There you have it. An excellent dish fit to serve up at any occasion! I am sure it will be loved by both the young and old. Personally, I was pretty impressed with all the qualities of the ingredients I have used in the recipe, especially that Australian Abalone. Lovely texture and bite to it and after the 3Hours boil, I believe it improved the taste even more! So please don't get lazy and skip that all important step! 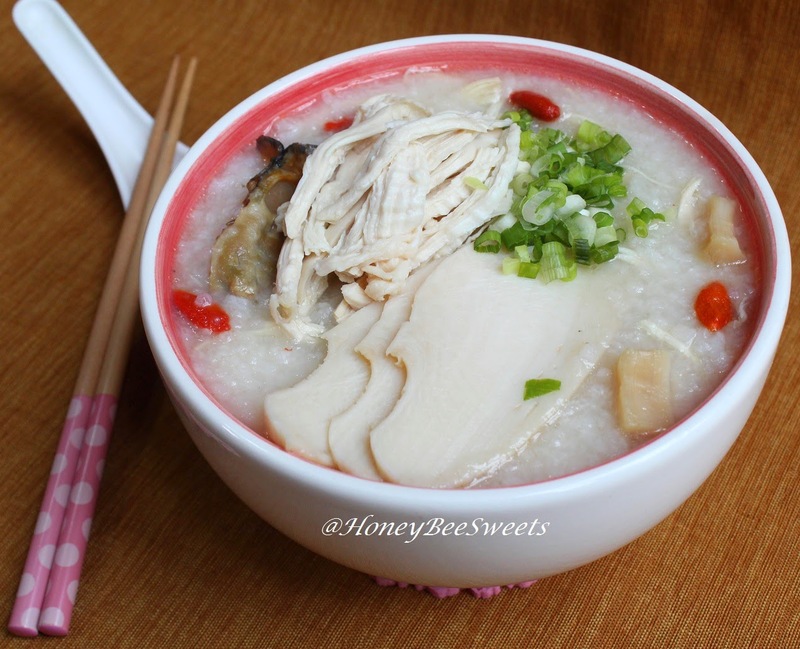 Okay guys, just one last shot of that delicious, belly warming Abalone congee...try it! 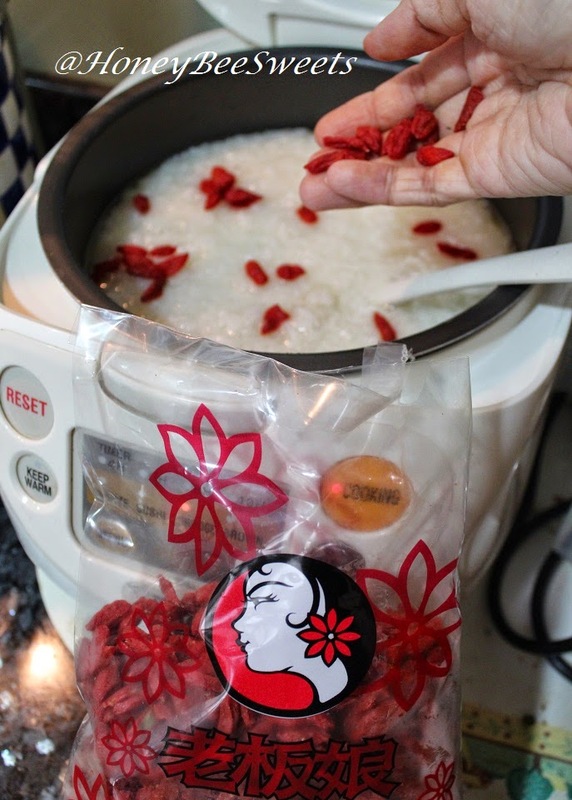 Why not grab this chance to buy some TCM or quality dried goods from LaoBanNiang?Especially now there is an ongoing sale promotion for their newly launched online purchase website at http://www.laobanniang.com.sg . Sale is on till Dec 20th which all you have to do is register as a member to get more savings! Plus an additional $5 off all purchases with a minimum $50 when you punch in the code . Happy shopping guys! Life is short, eat well!